An East African refugee, shown here, is the first refugee hired by Mad Priest Coffee, a new coffee roaster which seeks to offer opportunities for others. Michael Rice stands in his Mad Priest Coffee shop just before its opening last year. He seeks to use the shop to educate people about the countries of origin of their coffee beans. 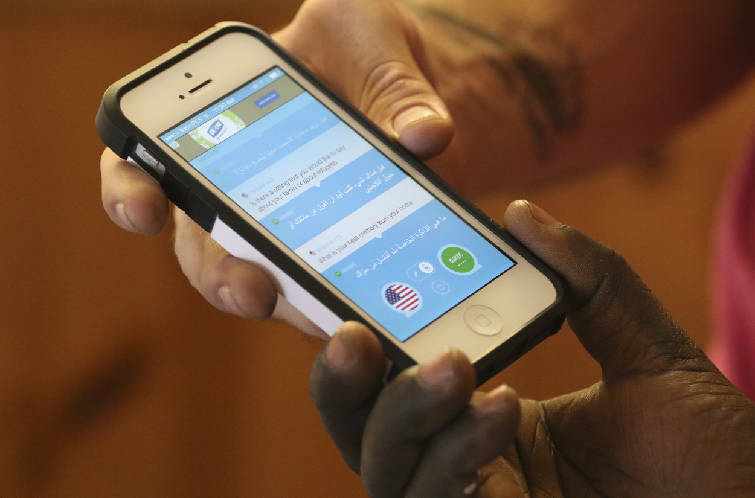 Michael Rice uses a translator app to ask an East African refugee employee a question while speaking about his company Mad Priest Coffee, which seeks to support refugees as well as the countries that support the coffee industry. Since opening at the end of last year next to Koch's Bakery on Broad Street, Mad Priest Coffee Roasters has brewed up more than just coffee. 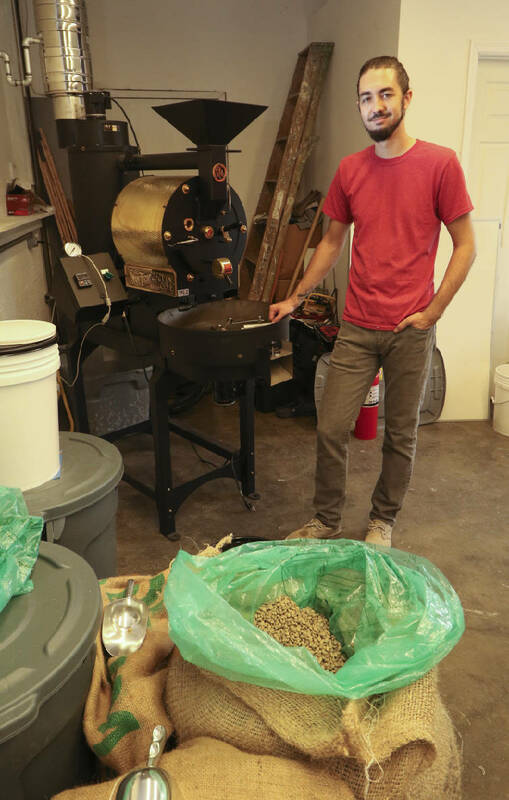 The local small-batch coffee roasting company also aims to percolate cultural education and diversity in the local community. "Our main goal is to expose people to the world and cultures that they may not have access to otherwise," said owner Michael Rice. As part of that mission, the shop is hosting an authentic Ethiopian coffee ceremony Thursday, March 23 in conjunction with The Chattery, a local nonprofit that produces affordable classes taught by people in the community. 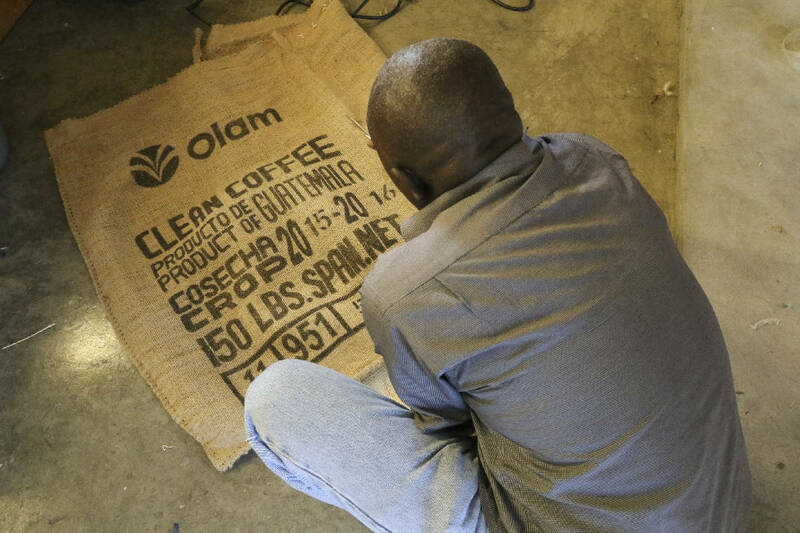 "It's an hourlong ceremony on how Ethiopians would brew their coffee. We'll walk through the process, which is pretty involved — everything from roasting the coffee over an open flame to burning frankincense and serving salty snacks," Rice said. The shop has even secured an Ethiopian national who is coming to the ceremony from Nashville to share his culture and experiences during the ceremony, Rice added. Once the ceremony is over, attendees can take home the teacup provided to them for tasting during the event, along with some of the roasted coffee that day. The ceremony is Thursday, March 23 from 5:30-7 p.m. Admission costs $25 and includes the take-home items. Rice said events like this will be a regular focus for his shop. "We already have two more planned," he said. In April, the shop will host "An Evening in India" featuring the sounds of a famous south Indian band along with Indian food. In May, Mad Priest will switch the focus to Iraq, with "An Evening in Iraq," a more formal, family dinner-type event. Mad Priest's cultural mission extends beyond just events. The shop partners with Bridge Refugee Services, a nonprofit agency that provides aid to refugees who come to America by helping them get jobs and become members of the community. So far, Rice has hired one refugee as a full-time employee, and said he is planning on hiring more refugees in the near future. "As a company, we really want to try to introduce and bring more culture and diversity to Chattanooga," said Rice. For more information about the Ethiopian coffee ceremony, call the shop at 724-7654 or visit madpriestcoffee.com/pages/culturalevents. Mad Priest is located at 1900 Broad St.